and airports, worldwide, since 1984. 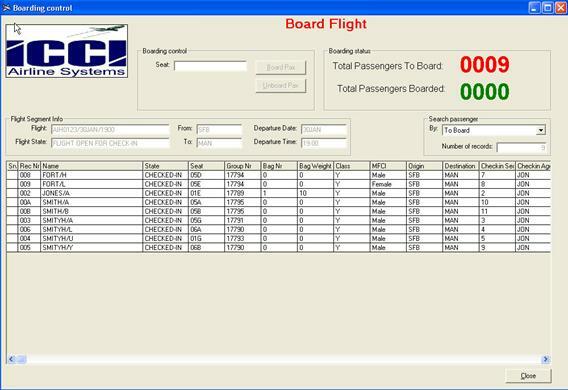 ICCI - Airline Systems, is please to announce the release of the DMACS and Departure Control System. When used with the Global Connect system all airlines use the same hardware and software at the airport counters. A DCS Graphic User Interface provides a easy means of checkin at any location, as long as you have Internet access. The Com Server PRO for Microsoft® Windows™ (CSP) is the core element of the Global Connect solution. The CSP will route the data from any 'upline' object to a 'downline' or 'client' object. CSP is built as an object container. You can place the required objects into the container, make the proper links between the objects, and your CSP will start working. Not every object has the capability to interact with any other object of course. You can't connect an ALC upline to a UTS downline. Common sense is always needed. CSP can be located in one ore multiple PC's running the Microsoft® Windows™ XP/Vista/7 operating system. 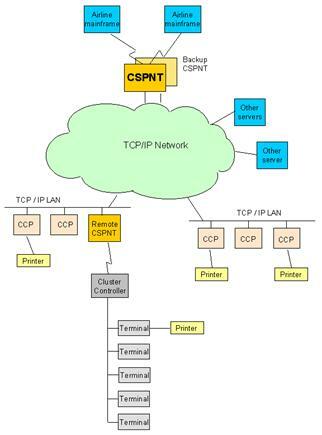 The CSP can be configured to support many airlines and host based systems. Currently the CSP supports American Airlines, British Airways, KLM Royal Dutch Airlines, Air France, US Airways, Alaska Airlines, America West Airlines, Garuda Indonesia, Gulf Air, Emirates, and Kuwait Airways to name a few. Com Client Pro (CCP) is a full featured windows application with which the user can perform mainframe interaction. The CCP will make visible all the user data to and from the mainframe. CCP can also be called a terminal emulator suitable for ALC and UTS. CCP is part of the Global Connect solution. The CCP application will handle all the display functions as well as the interface to the regular test printers and the special airline printers. CCP can open several windows connected to the same or different airline mainframes. If connected to the same airline mainframe, each window can have the same or different TA/SID. CCP makes use of the full featured TCP/IP implementation to connect to the CSP server. This provides the system administrator with the interface to monitor not only the screen performance but also to view the status and data to and from the connected printer devices. Dynamic Multi-Access Check-In System (DMACS). More than 250 check-in stations are running DMACS at Dubai International Airport. More than 90 different airlines use the check-in stations to handle an estimated seven million passengers traveling annually through Dubai. The DMACS system allows check-in agents to access any airline at any PC anywhere in the airport. Modifications can easily be implemented to accommodate changes in airline procedures. DMACS interfaces with many different airline host computers (each of which has its own input/output requirements) and presents only ONE interface at the check-in screen if the GUI option is implemented. So your staff need only to be trained once for ALL airlines. 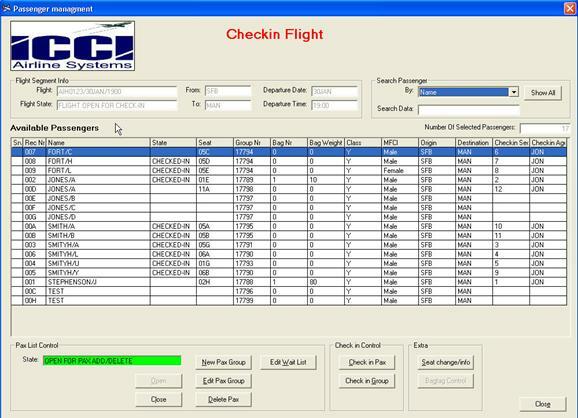 The flight control screen is used to generate new flights and to open flights for checkin. From the Available Flights list, the agent selects the flight to checkin. Individual or groups of passengers are selected for checkin. Seats can be auto-assigned or selected from the seatplan. Once the flight has been checked in, at the gate, the agents select the boarding control display. ATB readers or barcode readers can be used for boarding control. The list of remaining passengers ‘to board’ is constantly updated by the system. 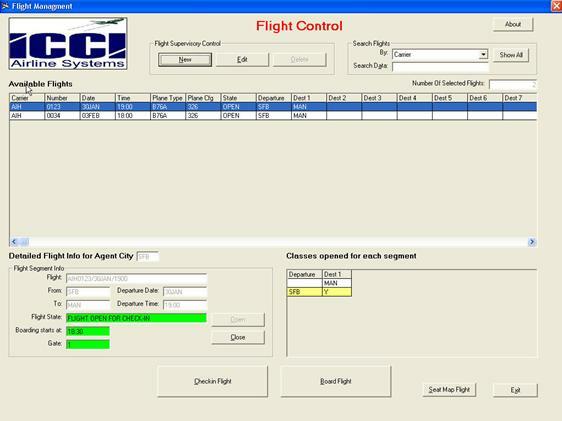 For those airlines or airport handling agents who wish to have their own Departure Control System (DCS), We can offer an integrated system with our Global Connect solution. In an airport environment the agent probably has connections to several airline mainframe systems. For the check-in agent, the local DCS is just an other airline system. The DCS is one of the objects in the CSP system. The GUI can be used to eliminate the differences among the various host DCS systems. The GUI will analyze the host output and display the data at the appropriate field in the GUI. The agent can then easily select the passenger and carry out the whole check-in process using a few key entries or with a mouse. The seat map of the selected flight can easily be displayed in a graphical format in which the various types of seats are displayed in different colors. For existing customers, a small upgrade fee will be required for the CCP and CSP when used with other airlines. When the CSP and CCP are used to interface to the DCS no upgrade fee is required for existing customers with an on going maintenance contract. Circular Flights supported. Jump seat and 'preferred area' seat selection. SOM, PNL and other IATA reports are available. IATA reports can be sent to any SITA address. APIS Requirements Fully Supported PNL download via SITA, and many other file options. Flight log option. Log of all seat changes per flight. NetBIOS and TCP/IP versions available. Complete selection of airline printers supported. ATB2 and IATA 10 digit bag tags supported. 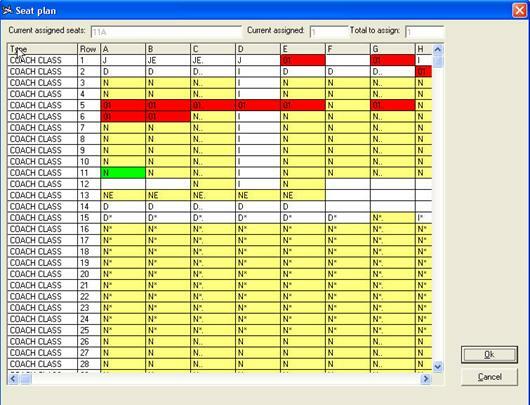 Full excess baggage calculate and display. Low cost printers are also supported. Windows and Sun versions. ICCI-FIDS and ICCI-LEDS fully integrated. Available in 32 bit AND 64 bit versions. System response time remains an average of 1 second! Full city and flight information create and display. Positive boarding control via ATB and barcode readers. Create a flight 365 days prior to departure. Supports up to seven destinations on a single flight.